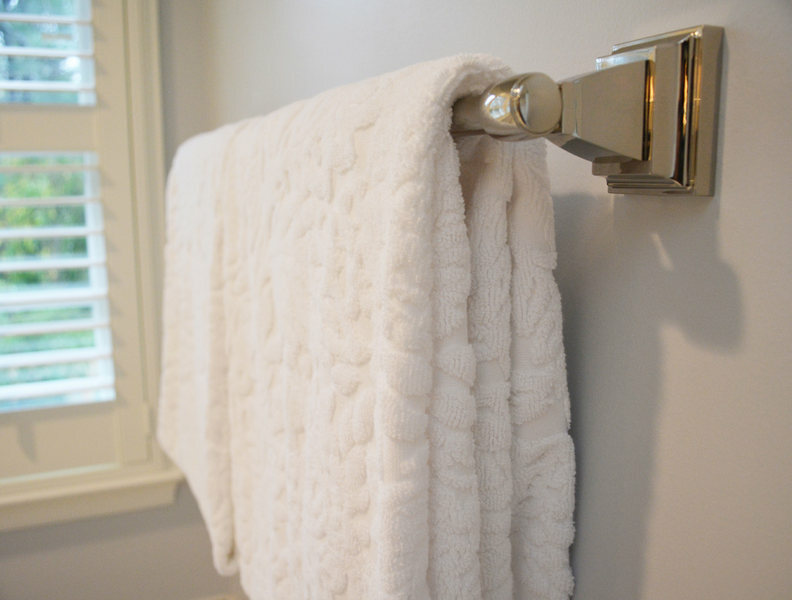 Transform your dated bathroom or add on a new one with the luxury of a fresh, contemporary look. 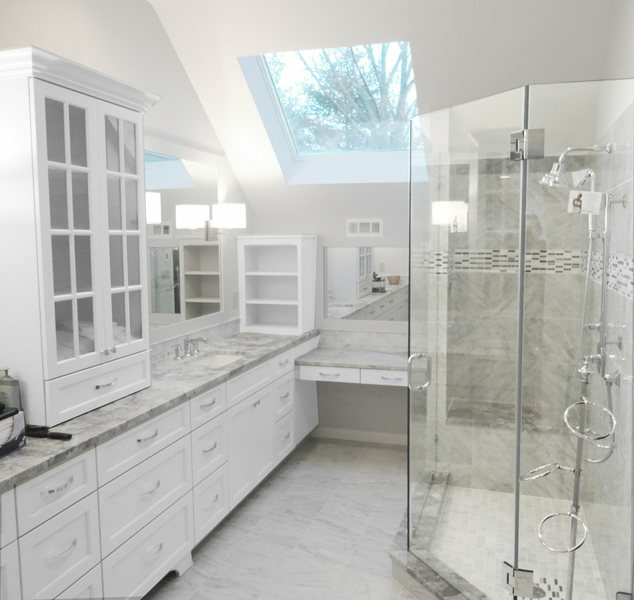 A&E Construction's professional design team will help you with space planning and design solutions to create the spa-like bathroom of your dreams. 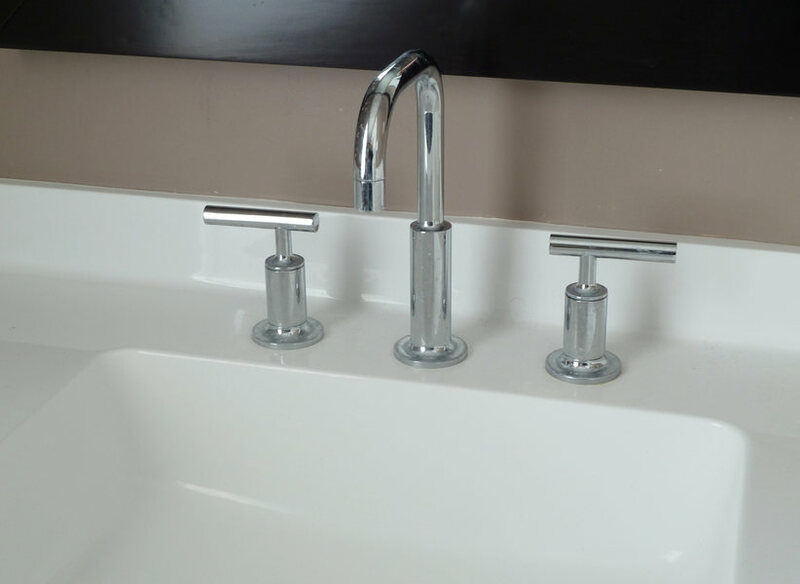 Whether you're fixing persistent leak problems or need more counter space, we provide excellent design solutions that will meet your specific needs and style. 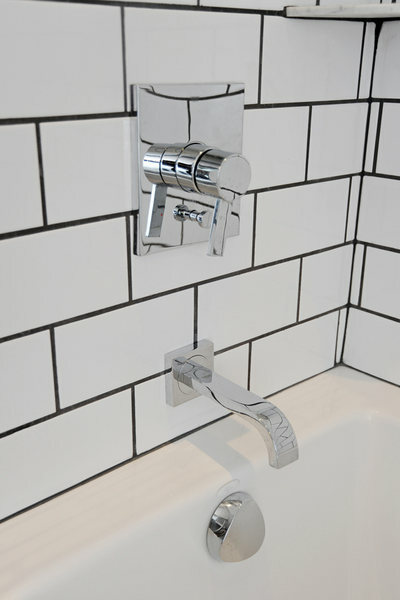 Our customary shower head diverters and undermount sinks enhance the lasting ease of access and accessibility of your bathroom. 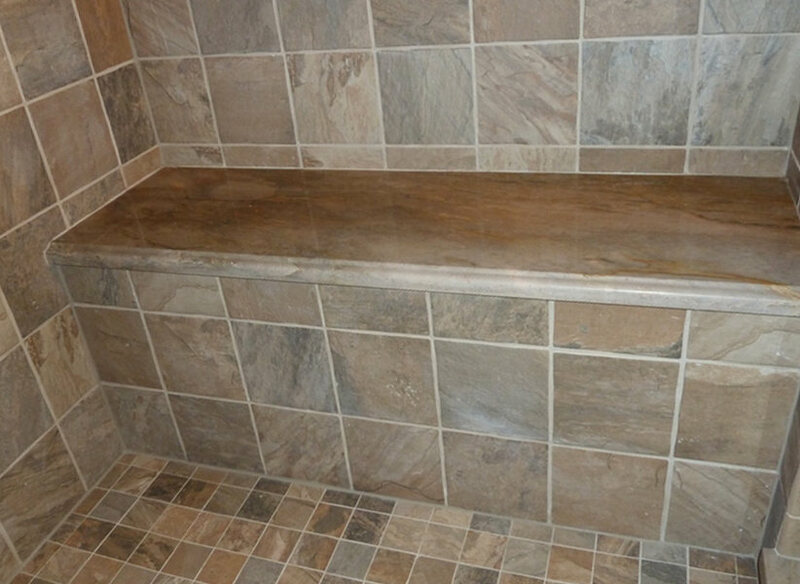 From shower niches to tiled wainscoting and marble bench seats, A&E's Princeton, Pennington, and Hopewell bathroom projects have consistently utilized superior materials to give your bathroom the look and efficiency that you need. 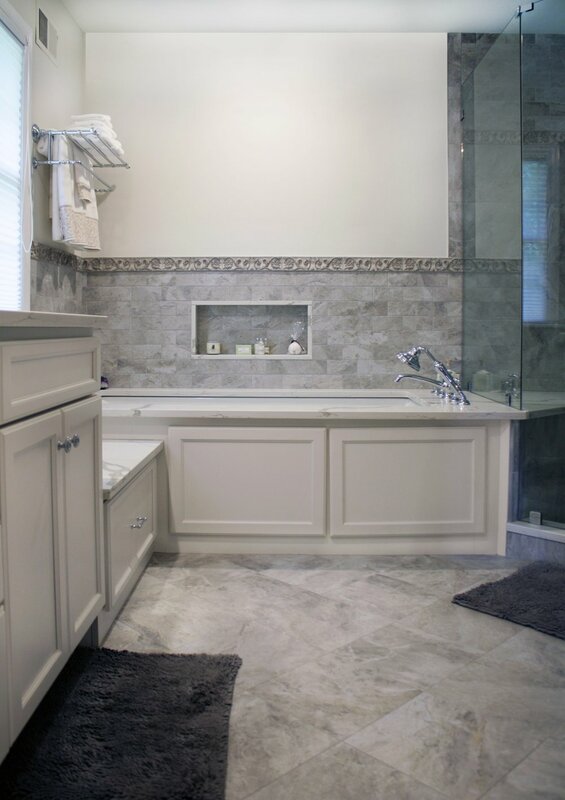 Check out our completed projects as inspiration for your own bathroom renovation. Second story hallway bathroom refresh! 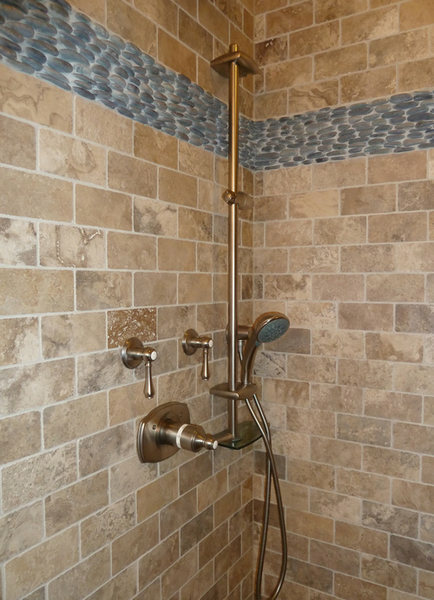 Our clients chose beautiful finishes for their remodel. 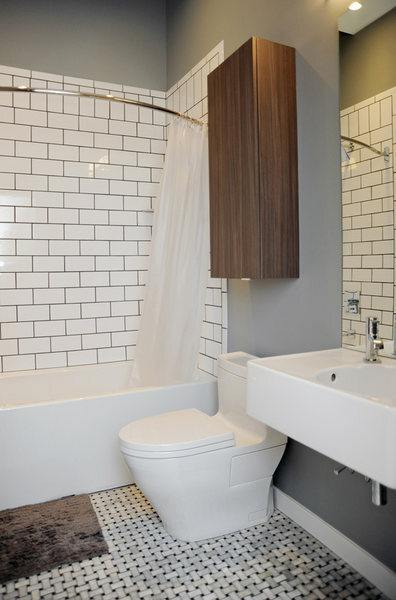 Classic subway tile with dark grout, gray vanity with quartz countertop, custom built mirror, and porcelain tile give this space a clean, crisp look! 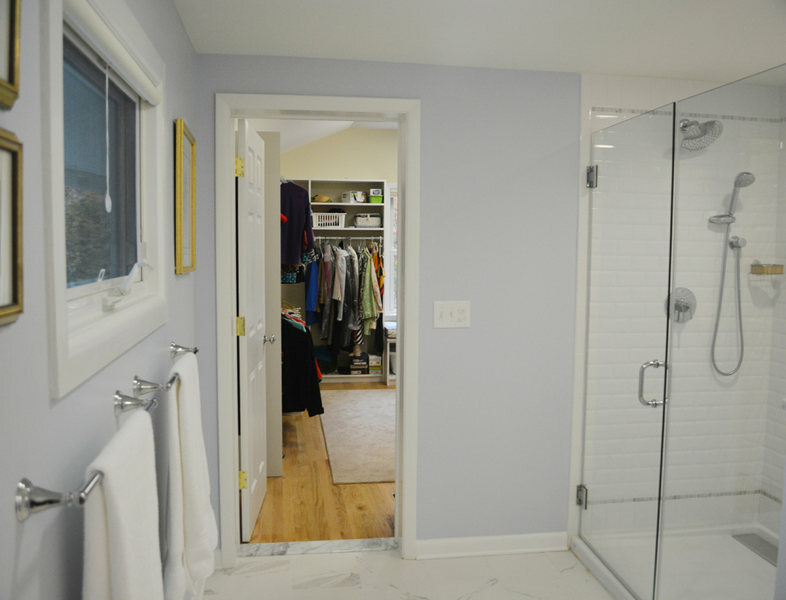 This project included converting a walk-in closet into a master bathroom, and completely renovating a second hall bath. 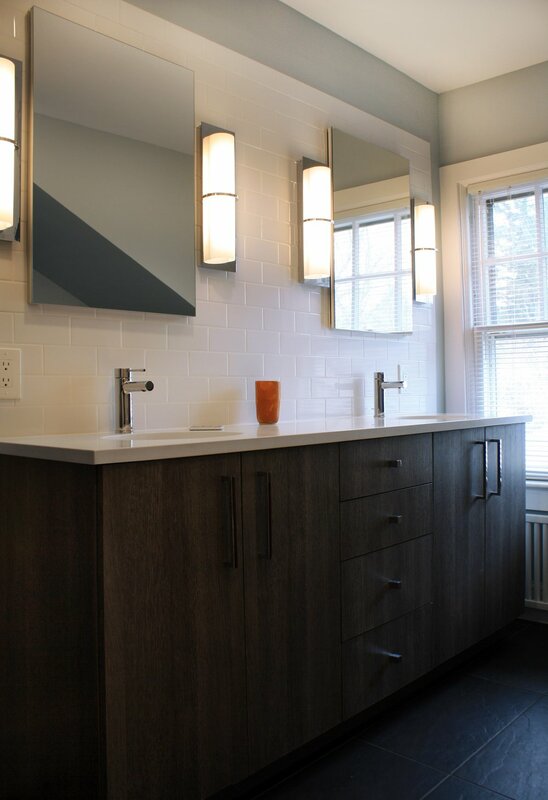 Our clients chose beautiful, sleek finishes for a contemporary look in both spaces! Master Bath Retreat! By removing the over sized corner tub and linen closet, we were able to increase the shower size and install this gorgeous soaking tub for our client. Enough space was freed up to add a separate water closet and make-up vanity. Additional storage was created with custom cabinetry. 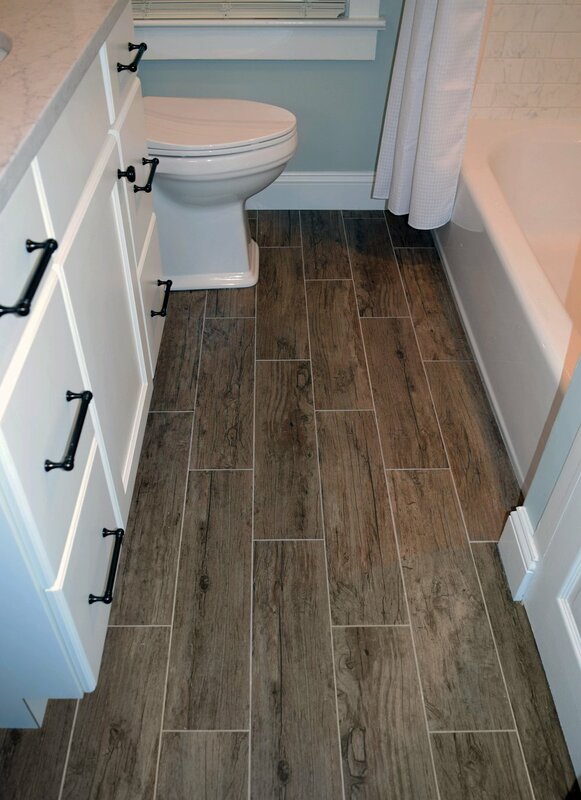 Porcelain wood plank tiles add warmth to the space. 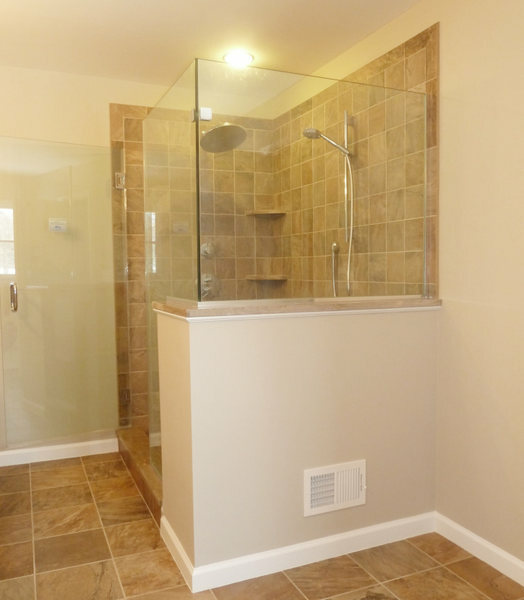 Beautifully renovated Skillman NJ master bath features luxury soaking tub, over sized shower with bench seating, double vanity, and plenty of storage. Truly a retreat! 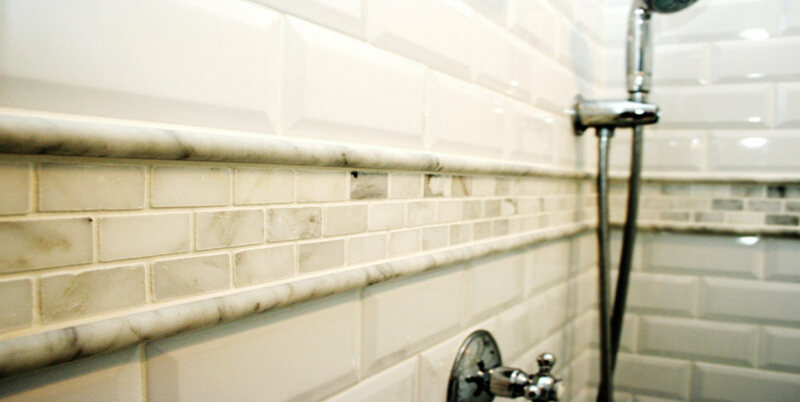 This traditional bathroom remodel features stunning marble tile in complimentary subway and herringbone patterns. The freestanding tub and outstanding view of the exterior forest areas are the focal points of this peaceful space. This beautiful Hopewell NJ master bathroom renovation features a double vanity with a dramatic full-wall tile backsplash, granite countertops, and luxury shower with bench seating. 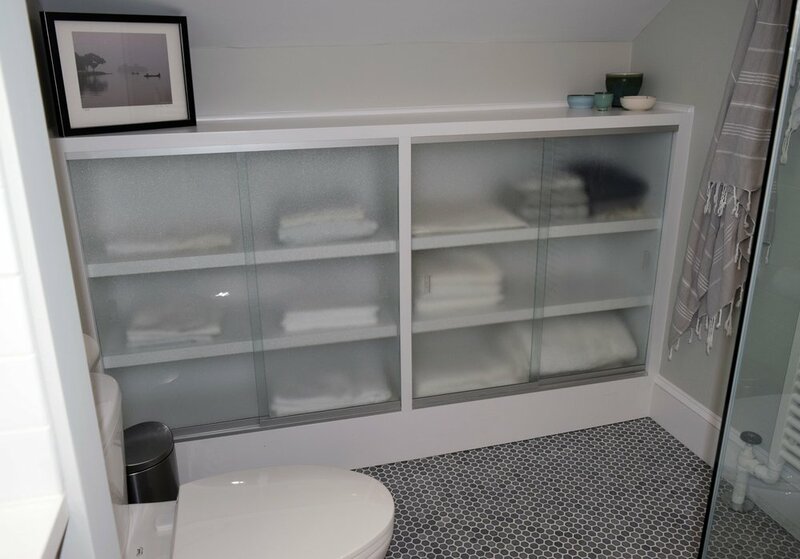 Part of a larger multi-room renovation, this once dated bathroom is now a larger, spa-like space, that connects to the homeowner's newly renovated master walk-in closet. Truly a luxury suite! 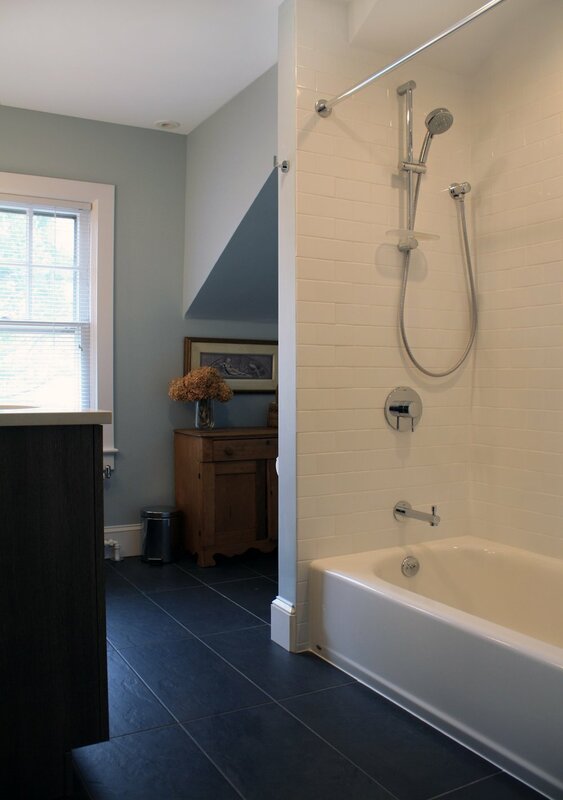 This Princeton master bathroom renovation was part of a larger two-story addition project that included an expansion of the master bathroom and construction of a large custom walk-in closet on the second story. 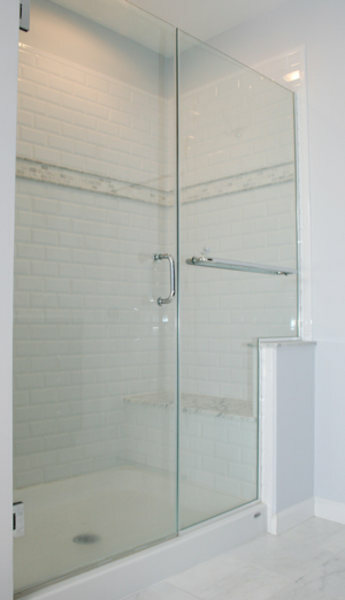 A large walk-in shower with custom marble bench seat provides the perfect place for a luxurious bathing experience. This monochrome master bathroom remodel features large floor tile for a contemporary aesthetic and easy cleaning, and a dramatic black and white vanity with sleek chrome hardware. This Pennington remodel of a master bath en-suite features marble basketweave tile detailing and a generous walk-in shower area. One memorable aspect of this design is the continuous marble slab that simultaneously serves as a tub deck and continues into the shower area to serve as a bench seat. Scroll through the project photos to observe this unique project. 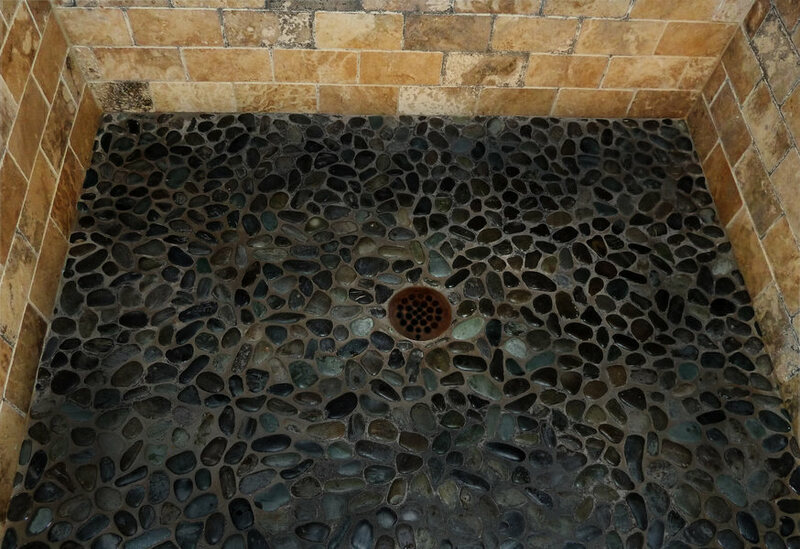 The remodel of this master bathroom incorporates the use of various natural stone tiles and a neutral color scheme to create a soothing spa environment. 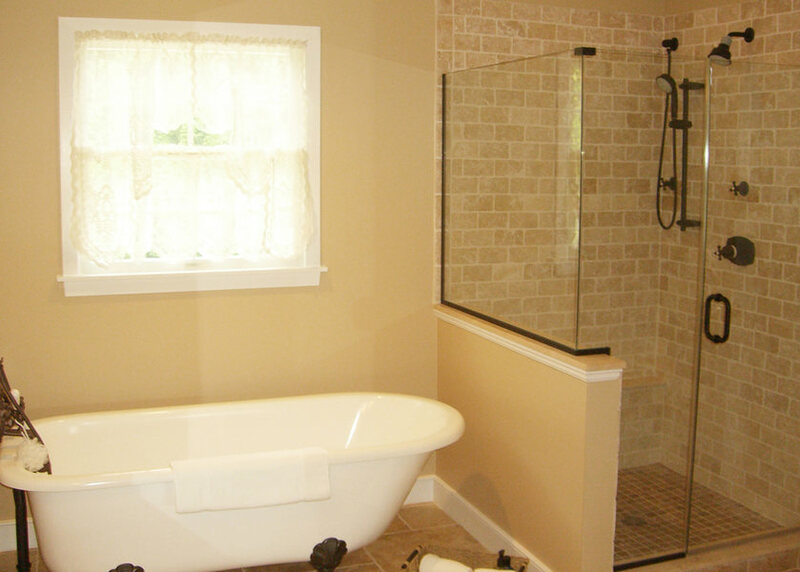 A relaxing soaking tub and a shower with multiple body sprayers provide plenty of bathing options for this client. 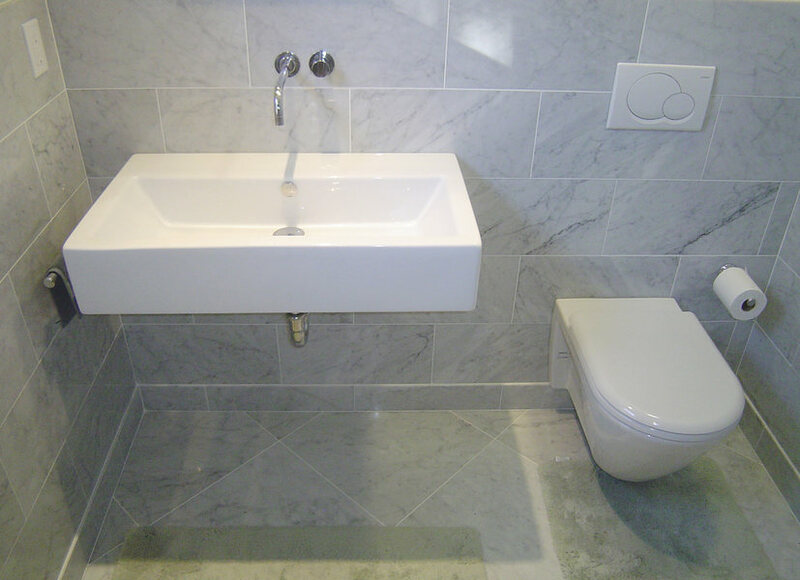 This project involved the renovation of a series of bathrooms throughout a family home. Large marble tiles were used throughout the various rooms creating a sense of unity, while geometric, high-end sinks, tubs, and toilets enhance the rooms' contemporary aesthetic. 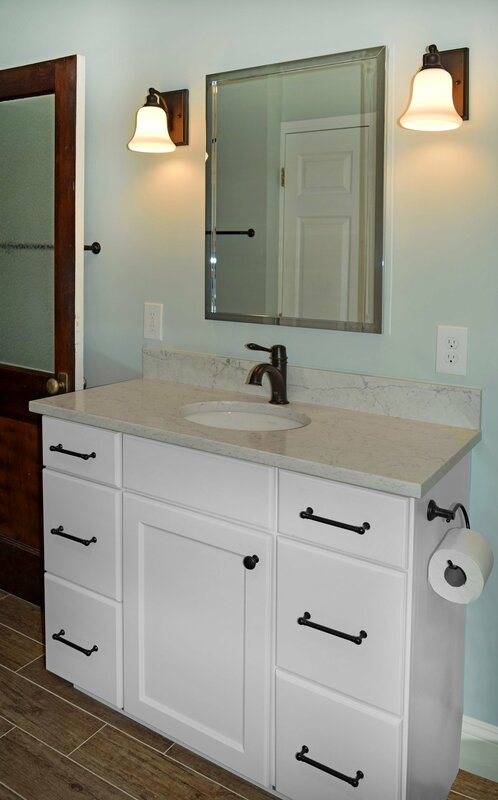 This bright white master Pennington bathroom remodel features an extra large custom vanity with plenty of storage space, including a dropped counter for seated dressing/preparation. 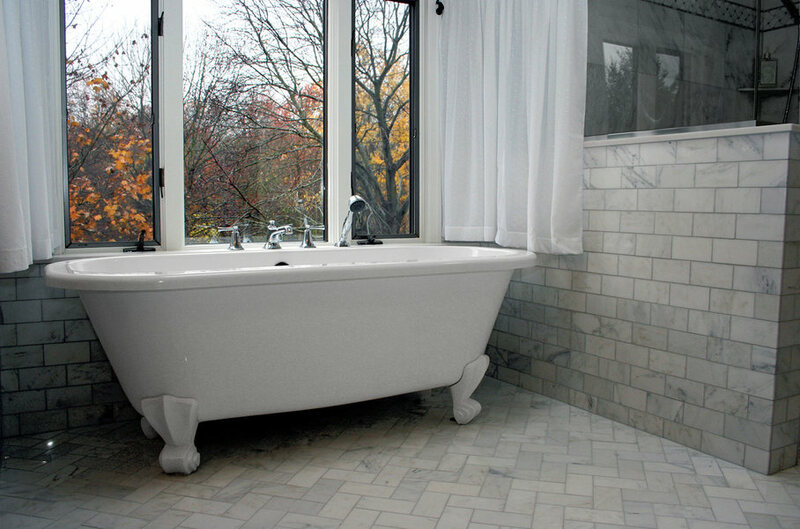 A traditional clawfoot tub acts as the centerpiece of this master bath remodel. 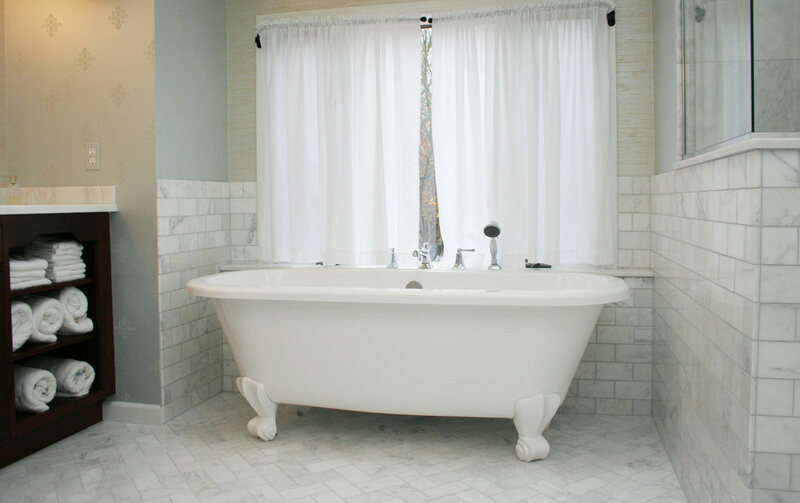 Vintage-style tub and shower fixtures complete the look. 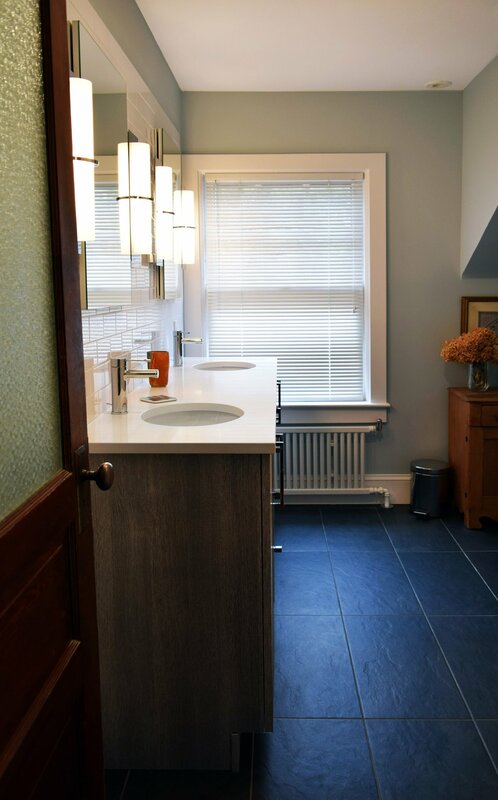 This home renovation project involved the division of a large central hall bathroom into two private children's bathrooms, one for a girl and one a boy. 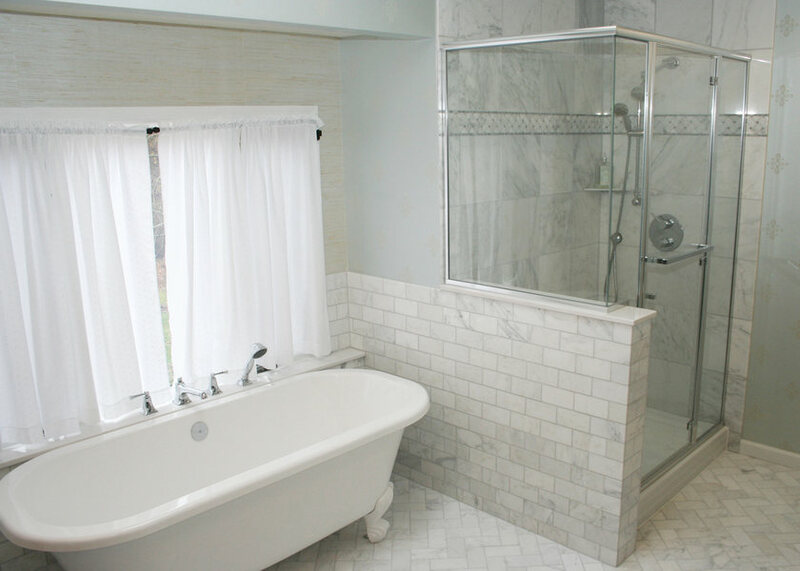 These Princeton bathroom renovations were part of a larger full-home interior renovation. The floor-to-ceiling tile and contemporary fixture selections in these rooms make for a dramatic appearance. This hall bath remodel is brightly lit with natural light from a sun tunnel, highlighting the swirling patterns of the wall panels. 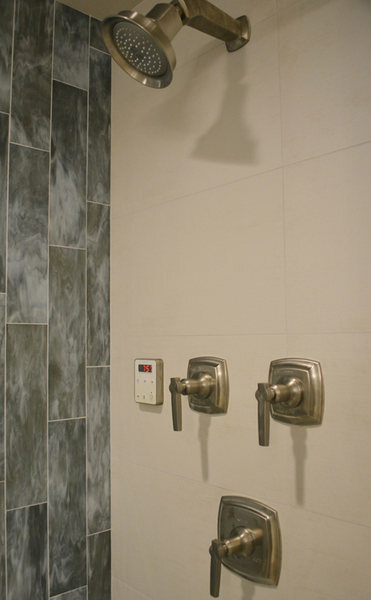 This Princeton bathroom renovation was part of a larger basement renovation that also included a bedroom, laundry room, kitchen, living room, and home theater. 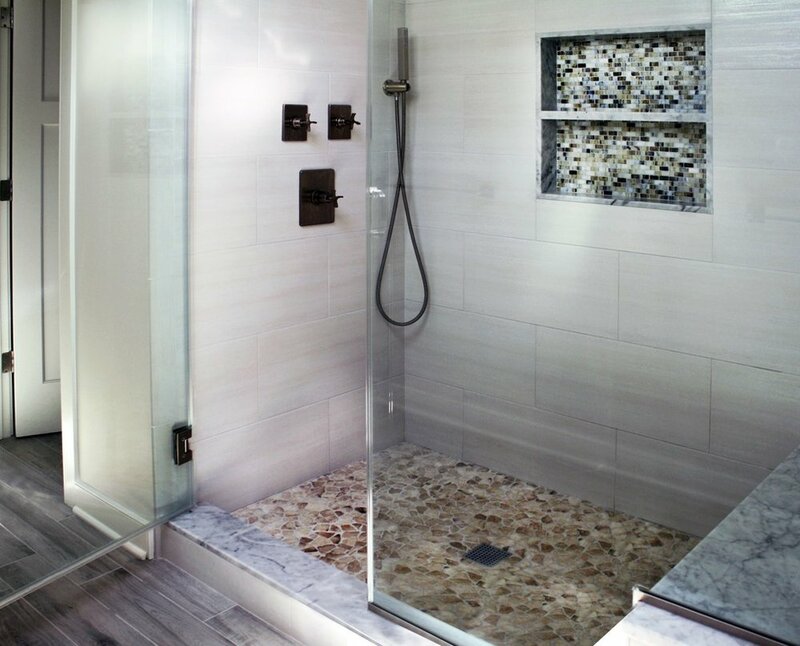 This luxurious bathroom includes a custom steam shower with transom glass for steam regulation and striking waterfall tile. This contemporary master bathroom remodel features gorgeous wide-plank tile and sleek chrome fixtures for a sophisticated aesthetic. 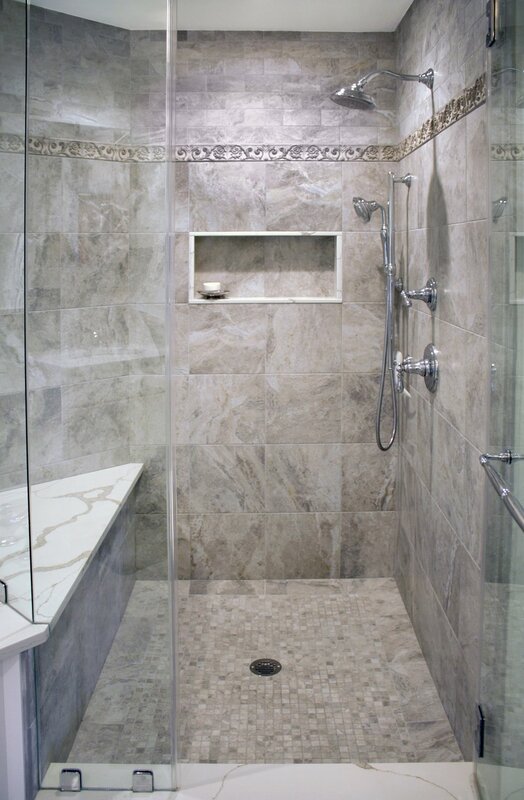 Accent tile can change the entire look of your shower. 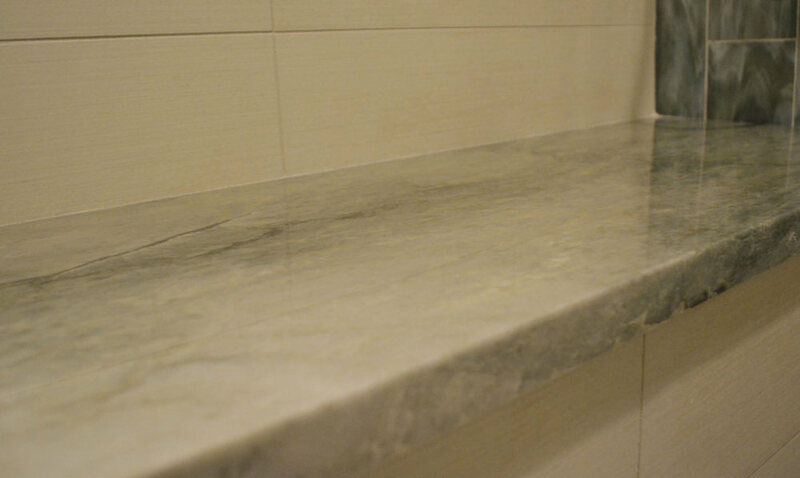 The clients for this bathroom remodel chose a thin strip of marble tile to compliment the more contemporary subway tile used throughout the rest of the shower space. Swirling tile, soft natural lighting, and muted blue walls create a soothing, spa environment in this master bathroom remodel. 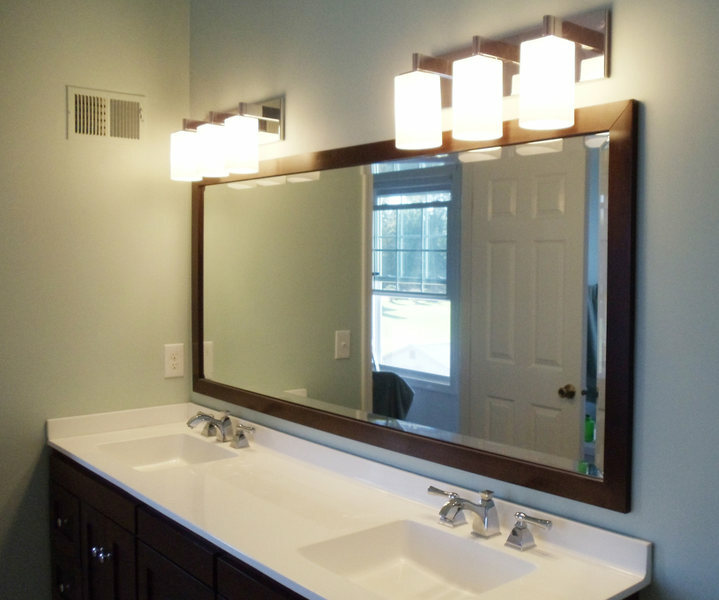 A sleek new vanity can make a huge difference when it comes to remodeling your bathroom. 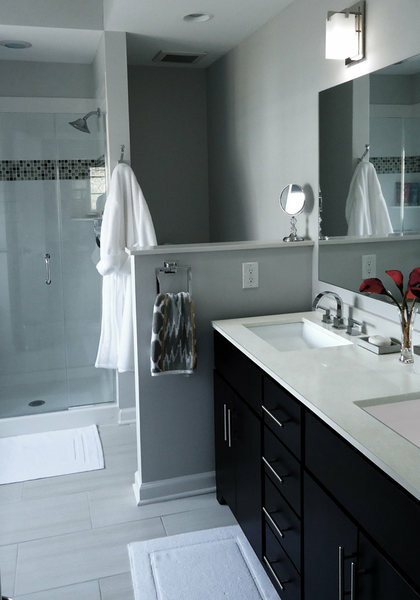 See how this bathroom remodel uses a contemporary black and white vanity for an upgraded feel. 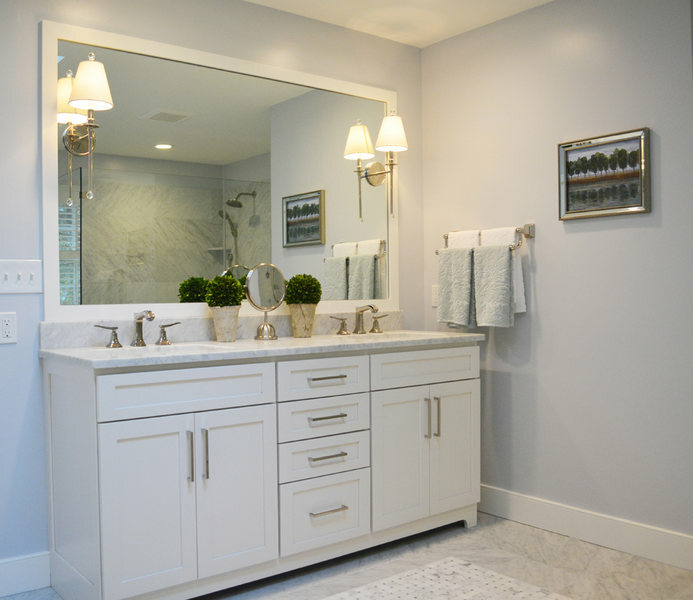 This spacious master bathroom remodel stays grounded in a neutral color scheme. 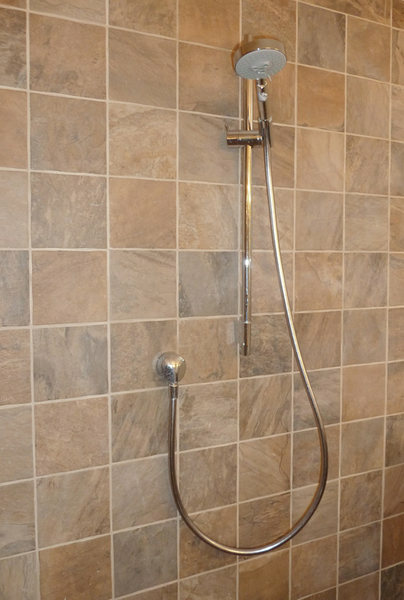 Pebble flooring ensures that nobody will slip in this new shower!